InfoFlo allows you to archive your files while retaining all the previous versions of the file. This means that you can go back to an old version of the file even if you made some accidental changes to the current file. 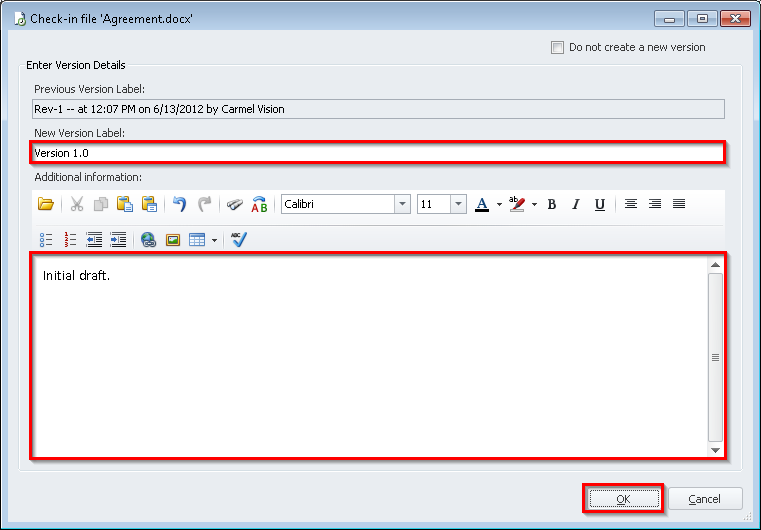 Select 'Contacts' from the left navigation menu and select a contact (The following steps may be completed for any Contact, Company, Category or Project). 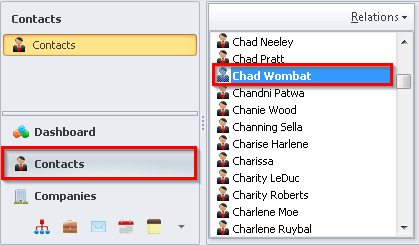 Select the 'My Files' tab from the bottom right of the right panel. Select the file you would like to create a new version of. 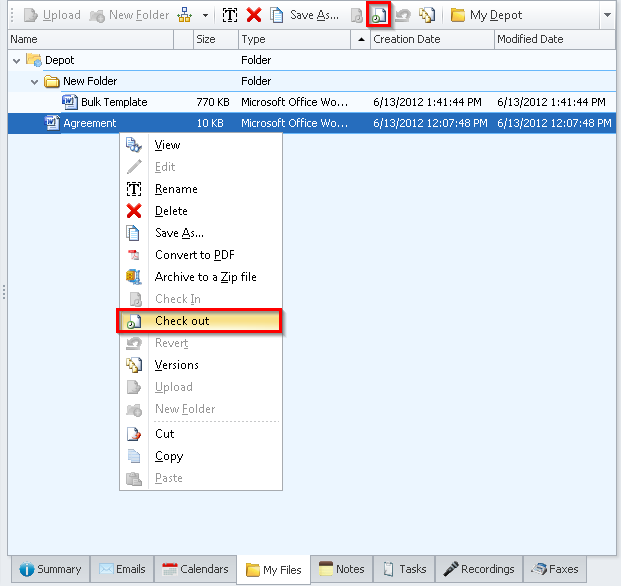 Right click an existing file and select 'Check Out' or click the 'Check Out' button available on the My Files toolbar. 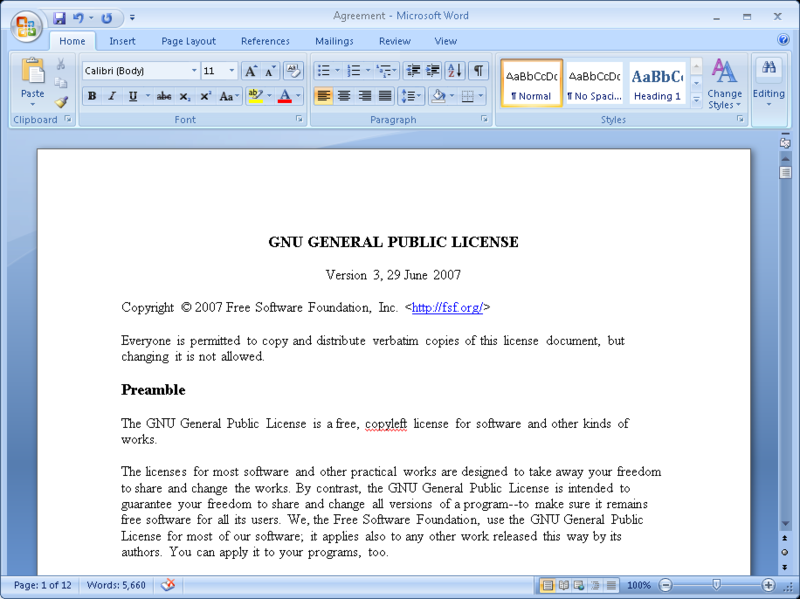 Here you can make some changes to the document. Notice that there is a little red check mark that indicates that a file has been checked out. If this document is being shared, then it is blue for all other shared users. 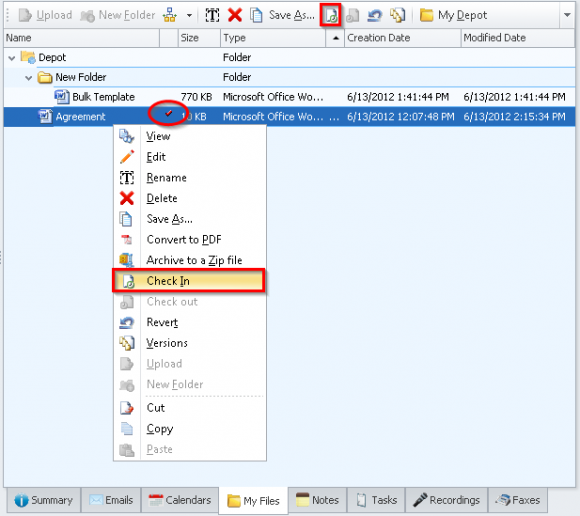 Right click the file to be checked in and select 'Check In' or click the 'Check In' button available on the My Files toolbar. Here you will be able to add a 'Version Label' as well as add any 'Additional Information' regarding this version of the document you are checking in. Click 'OK' to submit the changes. After check-in, the status of the document has now been changed back to it’s original state. It can now be checked out again by the user or by users that the document is shared to. The file has now been updated to the latest revision.